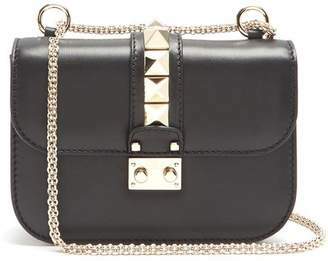 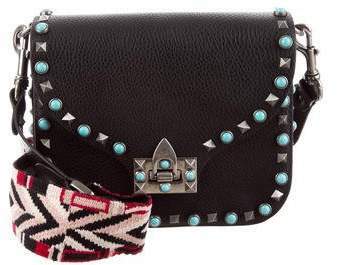 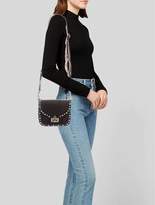 Black grained leather Valentino Rolling Rockstud bag with antiqued silver-tone hardware, single detachable multicolor woven 'guitar' shoulder strap with buckle adjustment, pyramid stud and cabochon embellishments throughout exterior, foil-stamped logo at back, tonal hide interior lining, dual interior compartments, single zip pocket at interior wall and flip-lock closure at front flap. 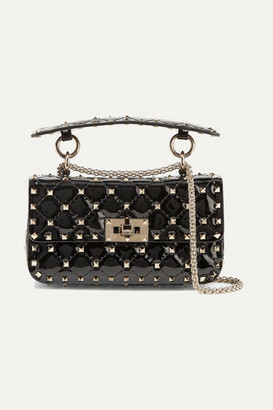 Includes tags, box and dust bag. 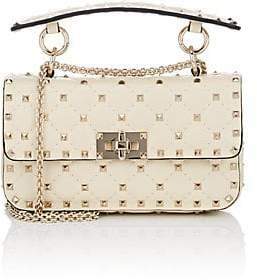 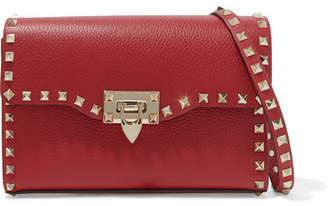 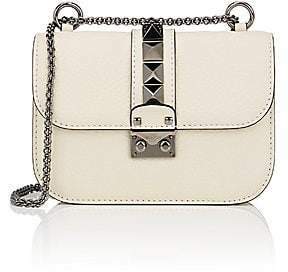 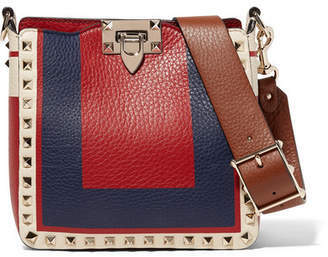 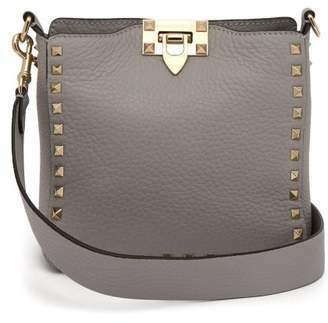 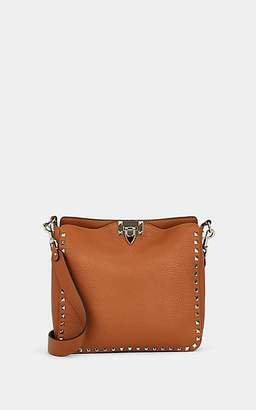 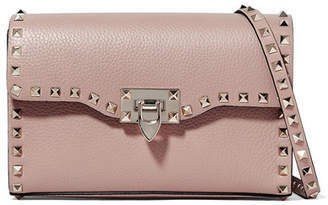 Buy handbags from Valentino at The RealReal.